Earlier this year, I purchased this vintage frame and print for $3. I wasn't really thinking of using it as is, but the frame's basket weave pattern was interesting. I painted the frame Rusteoleum American Accents Heirloom White. I Mod Podged the frame's cardboard backing. Then I placed the Mod Podge side of the cardboard down on a piece of burlap fabric. I placed the glass on top and the can of paint for a few minutes to flatten the cardboard until it adhered to the burlap. I removed the glass and paint can and let the piece dry for several hours, and then trimmed the burlap around the cardboard edges. Here's where the other $3 come in. I purchased two black hammered handles for 99 cents each at Menards. My husband attached them to each side, and I painted them white too. I also used tacky glue to attach four 1 inch wooden toy wheels to the bottom of the frame. I also painted them white. Now my frame has become a little tray. It is perfect for displaying a little vignette. Since Easter falls in March this year instead of April, my little vintage angel figurine (made in Japan) doesn't really work this Easter. The vintage postcard was printed in Germany and required 1 cent postage. A simple little project with a thrift shop frame. I love the combination of burlap and white paint. The try turned out really cute and very useful. Love the little vignette and your birthday girl. Wow! What a transformation! That was a nice thick frame to to do that to also. Looks great and love the "vignette" as usual. Love this great frame re-do project!! Thanks so much for the inspiration! Love your sweet angel. I wish Easter was always in April, don't you??? I like the combo too, and the little special touches of the feet and the handles. Beautiful! Love it!! What a geat idea to turn the frame into a tray. 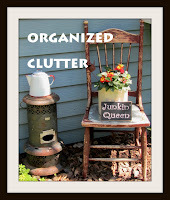 Great repurpose, Carlene. Your angel still works in March. After all, she's carrying an Easter egg! The vintage postcard is pretty. Too bad postage rates didn't stay the same. 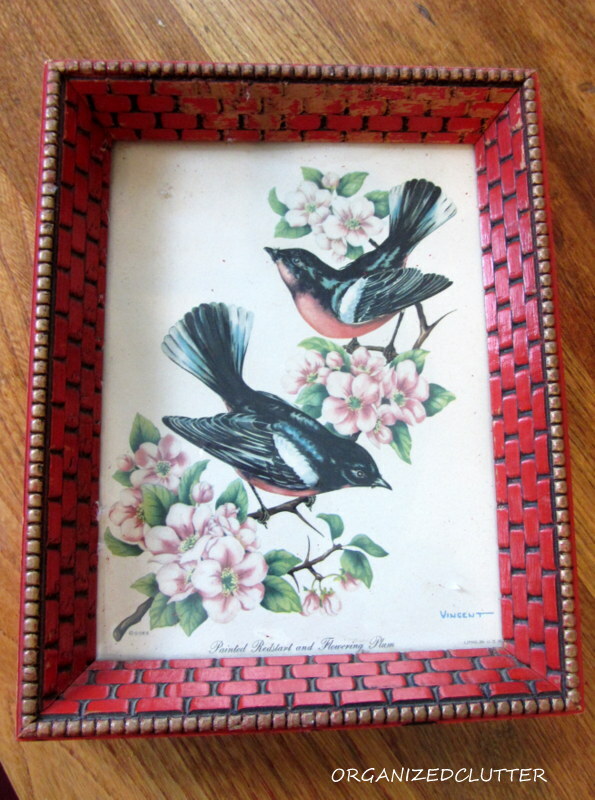 Love your mini tray... what a great use of that frame! You're too darn clever!